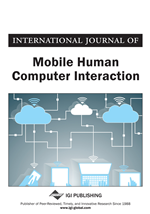 This research examines the potential factors which influence users' intention to play mobile games. Through the employment of structural equation modeling technology, a research model extending the technology acceptance model (TAM) with flow experience and social norms is proposed. This research model was empirically evaluated using survey data collected from 565 users in the largest city in central China. And eleven research hypotheses were proposed. Eight hypotheses were positively supported on a significant level, while three hypotheses were rejected in this study. The result indicated that attitude and flow experience explained about 66% of users' intention to play mobile games. It was found that social norms did not have a direct effect on the intention to play a mobile game. However, it affected the attitude directly. In addition, flow experience, perceived ease of use and perceived usefulness all had direct effects on users' attitudes toward playing a mobile game. The research findings demonstrated that flow experience play an important role in the adoption of mobile games. Along with the popularity of mobile devices and advances in wireless technology, mobile services have become more and more prevalent. Mobile games are one of the most promising mobile services, growing rapidly across the world. According to a new and extensive report from investment banking services company Digi-Capital, by 2015, Asia and Europe are expected to take 87% of all worldwide revenue from mobile and online games, with Asia in particular accounting for more than half (32% in China, 12% in South Korea and 10% in Japan). Moreover, according to a report from China Internet Network Information Center (CNNIC) in July 2013, hedonic services, such as mobile games, mobile music, mobile reading and mobile video, are becoming more and more popular in the Chinese market. Further, according to China Game Industry Report 2013, China had more than 300 million users of mobile games at the end of 2013. China is estimated to be one of the largest of fastest growing mobile game markets in the world. Prevalence of mobile services depends not only on technology advancement, but also on user adoption. Most research about the adoption of mobile services has mainly been based on the technology acceptance model (TAM) (e.g., (L.-d. Chen, 2008; Gao, Krogstie, & Siau, 2014; Gao, Moe, & Krogstie, 2010; Luarn & Lin, 2005; Yang, 2005)). Some previous studies (e.g., (Venkatesh & Bala, 2008) (S.-H. Liu, Liao, & Pratt, 2009)) have verified that users’ perceived ease of use and perceived usefulness are key determinants of individual technology adoption. However, perceived ease of use and perceived usefulness may not fully reflect the motivation of mobile services users. Depending on the specific technology context, additional explanatory variables may be needed beyond perceived ease of use and perceived usefulness. For example, some scholars (Gao, Krogstie, & Siau, 2011) (Gao & Krogstie, 2011) (Gao, Krogstie, Chen, & Zhou, 2014) also argued that there is a need to include non-technical factors in addition to the technology acceptance model (TAM) to conduct research on the adoption of mobile services. The adoption of mobile services is a large research theme. In this research, we aimed to address the adoption of mobile games in China. Mobile games are games played on mobile devices. With advanced mobile network with high bandwidth, mobile devices allow users to play mobile games with easy access to necessary resources and data. Consequently, users are able to play mobile games with their mobile devices at anytime from anywhere. This may improve users’ experience with mobile games. However, some constraints with mobile devices (e.g., small screen size, and inconvenient control methods) may possibly influence users’ experience with mobile games. User experience is one of the important concepts in the Human-Computer Interaction community (Hassenzahl & Tractinsky, 2006). Hassenzahl (2005) proposed the model of user experience and illustrated that the benefits of having a user experience model with a product is to understand how people perceive and value the product (Hassenzahl, 2008). Therefore, we believed that users’ experience with mobile games would impact their perceptions of mobile games.